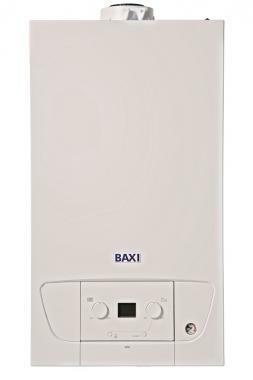 This is the Baxi 215 Heat regular gas boiler with an output of 15kW. Being a regular unit it needs to be installed as part of a heating system alongside a hot water storage cylinder, cold water storage tank and a feed and expansion tank. This means it is not suitable for those smaller homes where space may be limited, however this unit is compact in size with it being able to fit in a standard sized cupboard, so it respects the precious space in your home. This boiler weighs nothing coming in at just 19.5kg making it one of the lightest boilers available on the market. This of course makes installation easier saving you time and money. Add to this your iron-clad five year warranty and you have a very nice offering from Baxi.